If you are a first time visitor, we hope that you will find this site inviting enough to visit us in person at our theatre located at 1500 Rimrock Road. If you are a regular at BST, we hope this site serves to keep you informed on what is happening at the theatre. 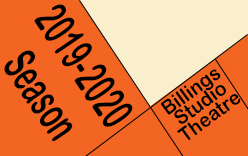 For over 60 years friends and strangers have gathered through Billings Studio Theatre to research, read, rehearse, build, sew, promote, produce and perform in productions that have so touched the souls of our patrons that they have returned year after year to see what is next in our ever growing slate of memorable performances. We have toiled, laughed and cried together, becoming friends, as we have built a theatre that has continued to grow, stretch and serve the needs of the community. Everyone associated with Billings Studio Theatre feels that the arts make a community a better place to live. We strive every day to improve our community by giving back in the best artistic way we know how. 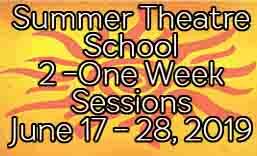 BST is a volunteer based community theatre. We are constantly searching and opening our arms to new ideas, new works, and new recruits. We are glad that you have found our home. We invite you to join our family. If at any time you may have a question, please stop by the theatre or give us a call. Once again, welcome to our home, Billings Studio Theatre, Your Community Theatre.